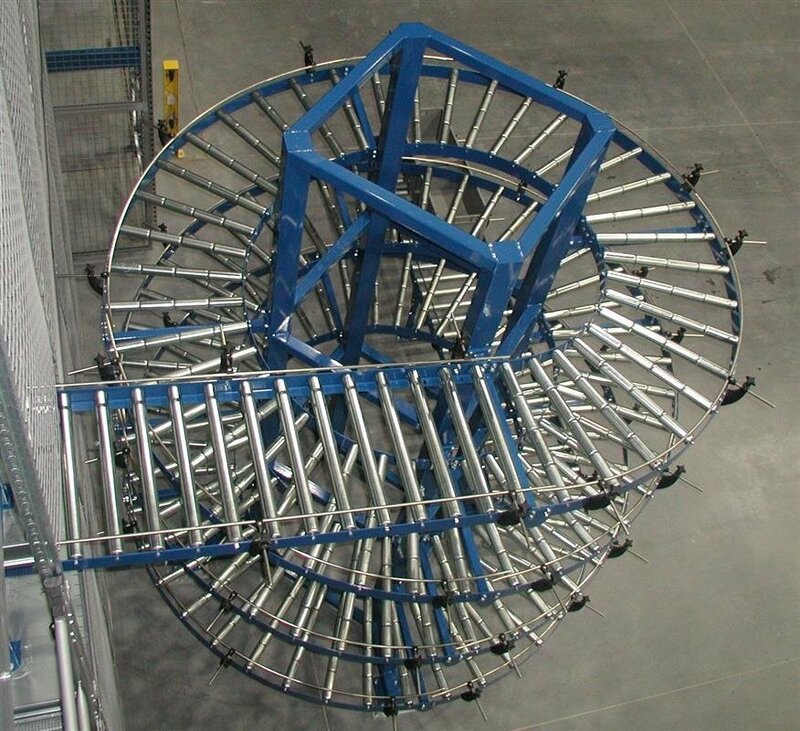 Gravity spiral is a device that enables cargo travelling between different levels of transport lines. In the spiral, cargo is moved by gravity. 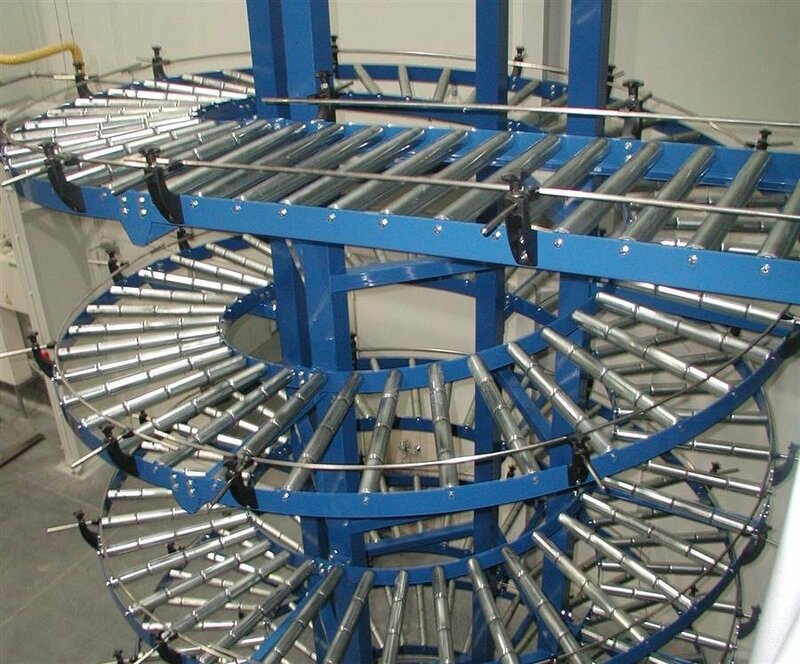 The appropriate inclination of the characteristic structure ensures safe transport and maintaining proper trajectory of loads without the need of controlling it constantly. 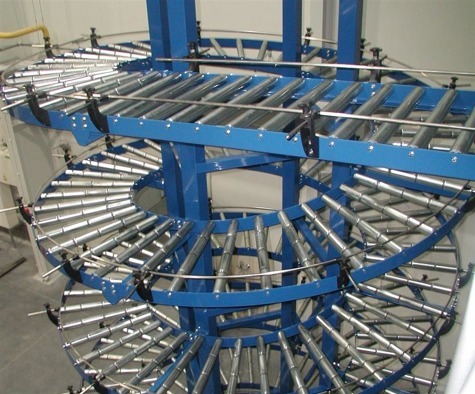 Gravity spiral is used in such industries as: FMCG, RETAIL, packaging sector. A gravity spiral is a vertical transport solution which does not require drive. 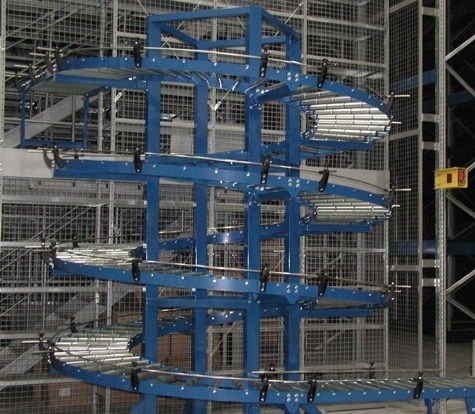 The loads are transported using gravity. An appropriate inclination of the characteristic structure ensures safe transport and maintaining proper trajectory of loads without the need of controlling it constantly. 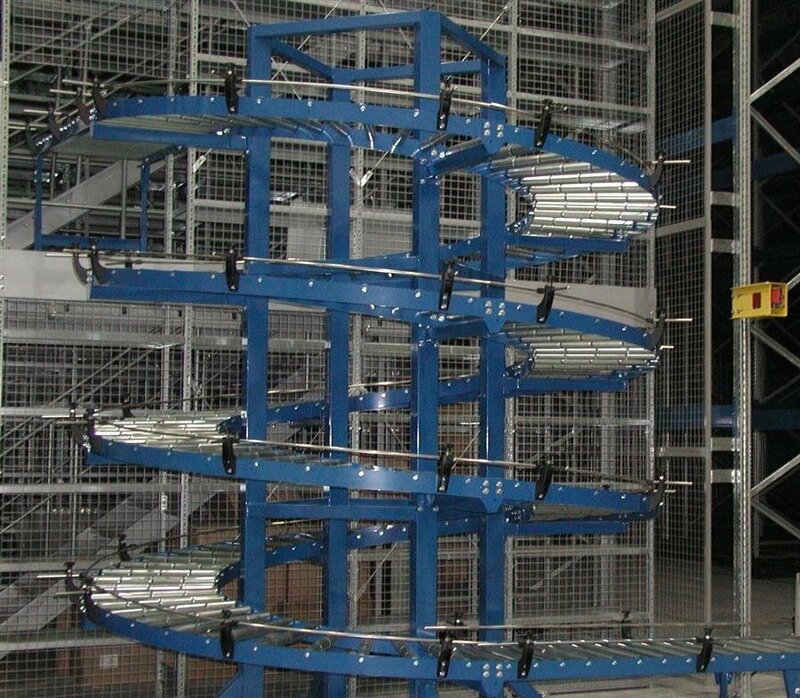 Modular design makes it possible to connect a number of levels of the transport system in the warehouse, owing to which on each level there is a possibility of adding loads (packs, trays, plastic containers, cardboards). 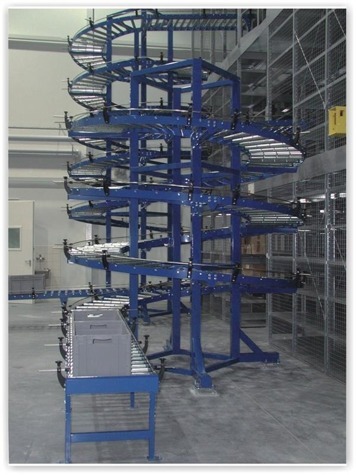 The spiral can be integrated into an automatic handling system with the use of roller conveyors.